No changes in activity occurred at the volcano, which continues to produce small to moderate ash explosions from the dome and weakly alimented block lava flows on its flanks. No changes in activity were reported today. Ash explosions of small to moderate size with plumes up to about 800 m height occur at rates of 1-2 per hour on average. Only the southeastern lava flow from the dome was reported to be weakly active today. Explosive activity remains at moderate levels with explosions reaching up to about 1 km height above the crater. Effusive activity was weak, no activity was observed at the lava flows on the flanks of the lava dome. No significant changes have occurred over the past days. Explosions from the lava dome occur at rates of about 1-2 per hour and produce ash plumes rising a few 100 m. The lava flows descending the dome, in particular on the SE side, are weakly active and produce small avalanches. INSIVUMEH reported 2 weak and one moderate ash explosion from the dome during an hour in the morning of yesterday, with ash plumes rising up to about 600 m. Ash fall occurred in the areas of Finca El Faro and parts of Monte Claro. Activity has remained the same. Some moderate explosions with plumes rising 800 m were observed during yesterday-today, as well as avalanches from the still active flows on the flanks of the dome. Activity was low today. Only some small explosions and few small to moderately sized avalanches from the active flows were reported. Activity today remained low. Only few and very weak explosions and small block avalanches from the active flows were reported by INSIVUMEH. Activity has been low today. No significant explosions have been noticed and the lava flows were only weakly active as well. Activity has remained the same: 1-2 explosions per hour with ash plumes rising up to 800 m and weak avalanches from the active flows descending the flanks of the lava dome. Explosions have been becoming more frequent; the volcano observatory reports weak to moderate ones with ash plumes rising up to 900 m during the past day. Effusion of lava flows continues. 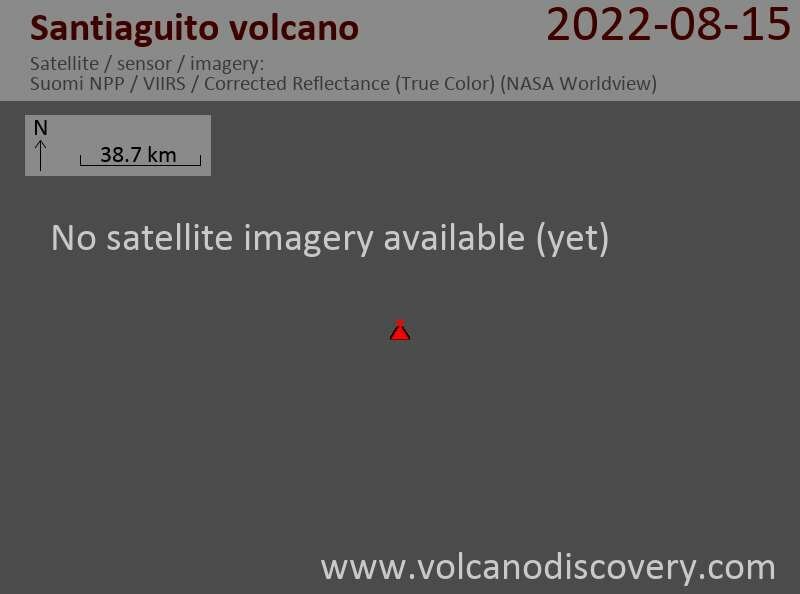 Activity has been comparably elevated today, with ash explosions reaching 700 m above the crater of the Caliente dome. The lava flows remained active as well and continued to produce frequent incandescent avalanches. Activity remains relatively low. No recent explosions were reported. The lava flows on the southern and SE side of the dome continue to produce glowing avalanches. Effusive activity has apparently increased, as INSIVUMEH reports that the SE and NE lava flows descending from the dome are advancing about 5-7 meters per day. This implies a relatively high effusion rate from the summit vent feeding the flows. Explosive activity remains very weak in contrast. The lava dome has had a few minor explosions, and continues to emit a large steam plume and aliment the lava flows on its flanks. Incandescence could be seen during the night from their fronts, where detaching blocks generate weak avalanches. The flow on the SE side towards Nimá 1 canyon was advancing. Activity has remained generally weak and mainly effusive, with very few and weak ash explosions, and active block lava flows from the dome, that generate constant small avalanches.